With such warm weather and big tides the conditions for a bit if bass fishing are close to ideal if only for on the fly or lure, a good storm would help for fishing for them with bait but hey it is the summer and a late evening fish or dawn run in such balmy conditions is a great way to end or start the day. 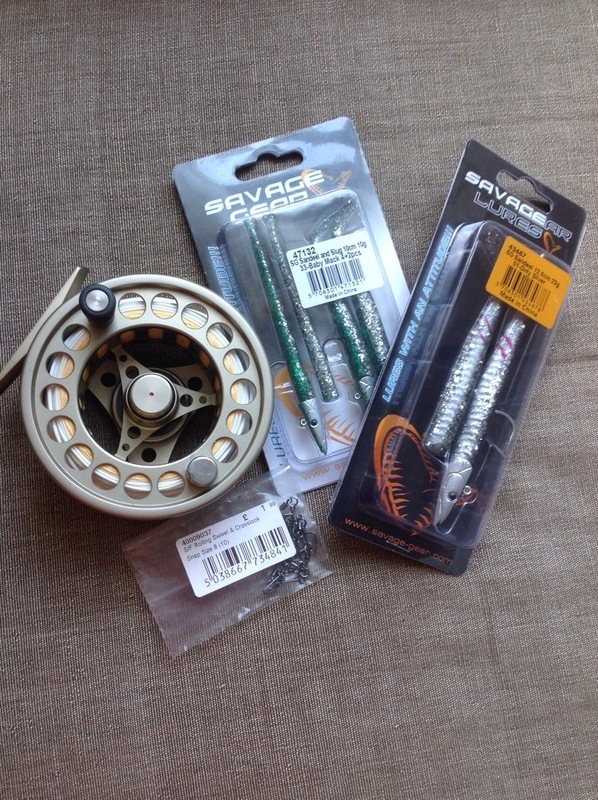 I recently acquired a Ron Thompson N Series Tyran 8ft 10g-30g Travel spinning rod and a couple of packs of Savage Gear Sandeel and Slug lures with the aim of heading to the South Coast or Cornwall in search of these predatory monsters of our shores. I have read several reports from the likes of Robin Howard that a reasonable amount of success had afforded him and some of his Guided clients to catch some good quality fish from the shore along the Brighton seafront. With an old vintage Abu 55 spooled up with braid and a small Abu Ambassador Bait Caster I aim to get some fishing in over the next couple of days. The question is hard lures, soft or a change of kit to my trusted 9.6ft Hardy Graphite #8/9 paired up to my Vision XLA and some bass flies? Well, I guess it’s going to be a bit of a last minute decision however I hope I manage to connect with one of theses beautiful fish. 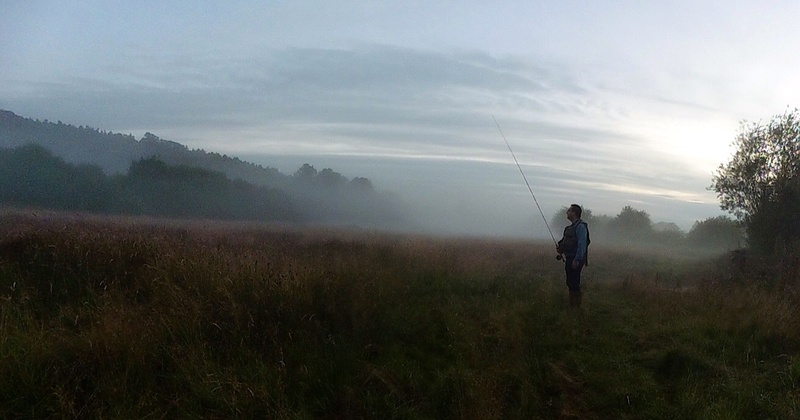 The month of July is proving to be memorable, firstly for the chance to fish the River Chess in Buckinghamshire a small Chiltern chalk stream having been given the invitation from Paul Jennings who heads up the River Chess Association. The Chess is a river that as a young boy I would spend many hours beside it or in it. Then last weekend a brief trip to Brighton for the first sea fishing outing of the year with Young Tales which was tough going but rewarding in so many ways and finally that summer is truly upon us giving us temperatures in the mid to high 20 degrees. I feel the year is rattling by and I simply want to do more with each day however my commitment to my role working for a Dutch Distiller is absorbing most hours everyday plying the trade of marketing and selling their award-winning gin, Sloane’s Gin, which has in the past been awarded the ‘Worlds Best Gin’ in 2011 at the San Francisco Spirit Challenge. Many would think what a great job, it is, however when I travel for work I see streams and rolling countryside that I want immerse myself in and spend time getting to know and if the opportunity was right to get the rod from the back of the car and fish, unfortunately like the tide, time is rarely on my side. I’ve travelled across the West Country, Hampshire, Wiltshire, Somerset, Yorkshire, Northumberland, Cumbria and the Borders and not once did I have time to fish. 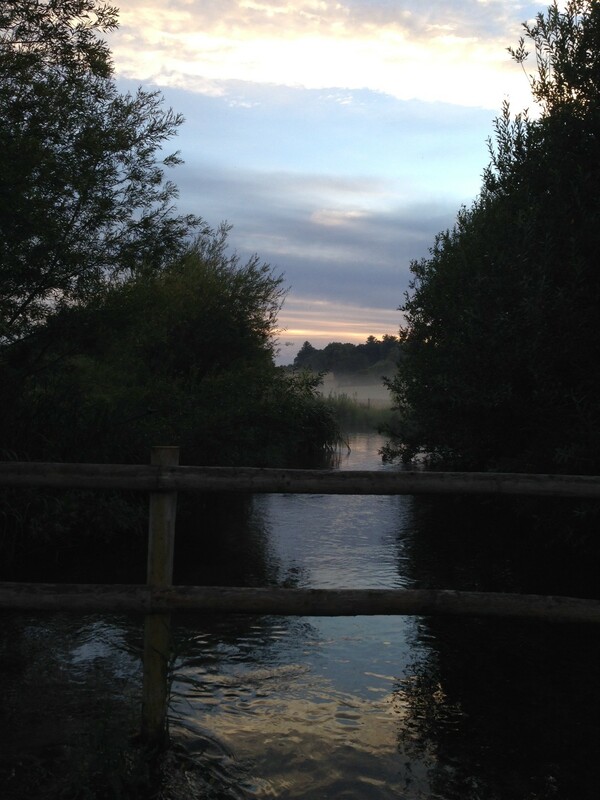 Reflecting back on the evening spent in the Chess Valley close to Latimer it bought back many memories. July was always a notable month as it would mark the end of the school term, and for me a long summer where many hours would be spent occupying my time with walks through the beech woods, days down by the river and helping out at Quill Hall Farm. We very rarely went on holiday in those days as my parents wouldn’t put the cat into a cattery and as foreign holidays were expensive most summers were spent at home, not a bad thing as I loved the farm and especially the Sear family who owned it as they treated me as an extension of the family and often I would be in their kitchen having breakfast. I arrived a Paul’s house just after 6.15 and after a brief chat in the kitchen about my Beverley Brook project then we tackled up and headed down the lane to the river. I was slightly ill-equipped for the evening as on my way there the clouds were grey and it had poured with rain half an hour before my arrival. With the grass and bankside vegetation so tall and lush I was in for a real soaking as we made our way along a narrow path dotted with holes from burrowing badgers and voles. The worst part of it was the frequent with a stinging nettle. Paul showed me a couple of good pockets of deep water, one with a lonesome Bream and the other with a large brown that was freely feeding below the surface. I edged my way into a clearing and gently cast upstream in order to cover the fish, you had little opportunity and getting it right first time was a must otherwise these willy fish were spooked easily. My cast landed about 18ins short that was my only encounter for the evening. I tried casting further upstream but in the back cast with the adrenalin kicking in failed to see the hawthorn overhanging the water, this time the line tightened the wrong way and my cast along with a fly tied by our friend Mark Minshall (metieflies)itieflies.com was stuck fast into a branch. The temperature dropped dramatically and the stillness of the evening air gave rise to a mist that engulfed the valley as far as the eye could see. As the light dropped off we headed back to what Paul referred to as the ‘last chance saloon’, a deep pool either side of a footbridge and he ventured off to fish a small run off which serviced the mill house, I hasten to add that we both blanked. For me it was a memorable evening being in that valley, the air smelt the same and it was like the clock had not moved on in over 40 years. Fishing Brighton a fortnight later was such a contrast, searing heat and this time instead of a fly rod we were using a pair of old Masterline Spinning rods that we use for sea fishing off the Marina wall. With a fresh packet of lugworm, a 3oz weight on the end of a custom-made bream trace both rods were put to use as we when in search of this pretty maiden of the sea. The water was coloured as the sea churned up the seabed close to the wall so there was no chance of either a mackerel or bream, the only thing taking the bait was the odd blenny. Later in the afternoon Young Tales was convinced we had a take, the rod loaded up but not with the usual sign of a fish, this time we saw a large black mass beneath the surface, this was a lobster that had decided to latch itself onto the sliver of mackerel bait we put on the bottom hook of the trace. Unfortunately our crustacean friend let go much to the annoyance of his nibs. What was the best part of the day was to watch my sons face when he had a fish on, it was shere joy on both parts. With the weather set to get hotter towards the end of the week an evenings trout fishing with a dry-fly would be a fitting occasion to complete the month. On the vintage tackle front I did manage to acquire a vintage Abu trout landing net with flamed handle circa 50-60’s plus from a couple of car boot sales a small Abu Baitcaster reel which was brand new for £5 and a fantastic Vission XLA reel with new floating line so that will pair up with my vintage Hardy Graphite rod for some fly fishing for bass. July has been a good month to date.